For the first time in his 11 year career, Al Horford will be honored for his defensive abilities. Today, he was selected to the NBA's All-Defense Second Team. He is the first Celtics' big-man to be chosen for an All-Defense team since Kevin Garnett made the cut in the 2011-2012 season. Big Money Al received 85 total votes from the 100 writers and broadcasters that are given ballots. 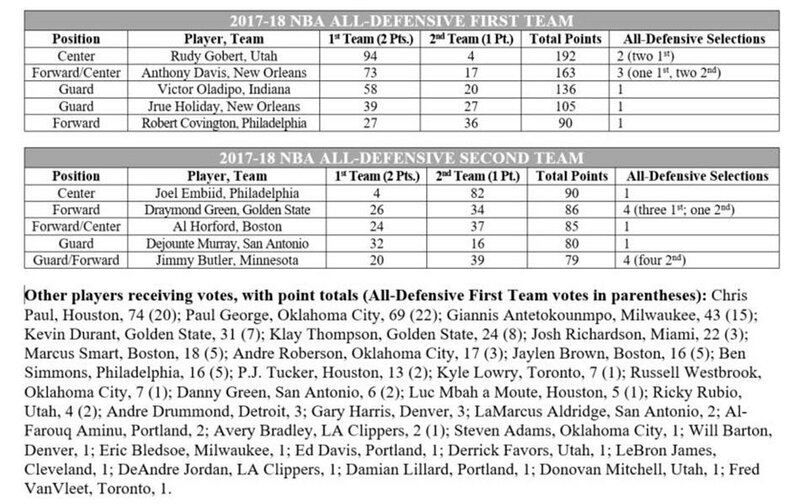 Of those votes, 24 of them were for the All-Defense First Team, and 37 of them were for the All-Defense Second Team. The list of the 100 voters can be found here. The Celtics, led by Horford, were the best defensive team in the league this year with a defensive rating of 101.5. 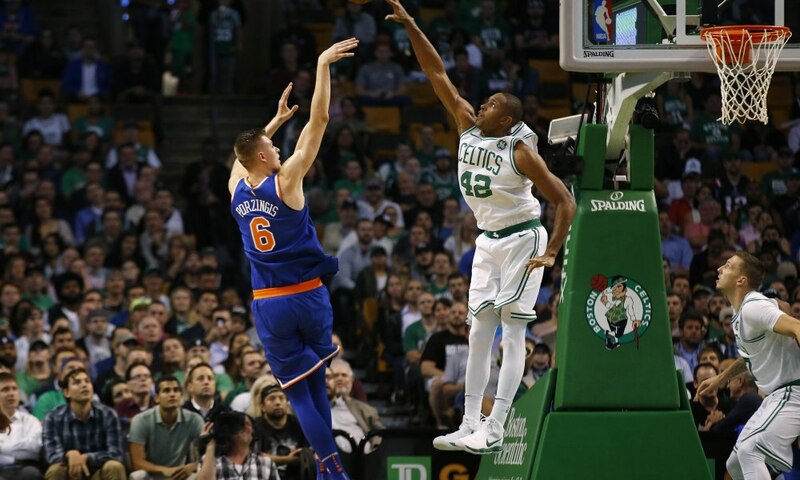 Anchoring the @Celtics defense... @Al_Horford's BEST BLOCKS of the season! 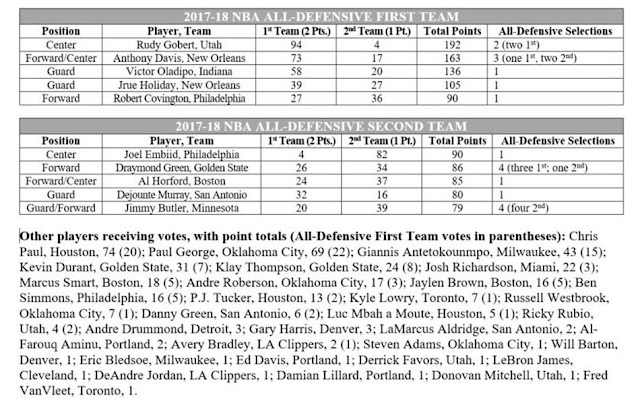 Horford was joined in Defensive Team voting by two other Celtics' players: Marcus Smart and Jaylen Brown, who received 18 and 16 total votes, respectively, and 5 First Team votes apiece. Both Smart and Brown were top 10 in the regular season's defensive win share.